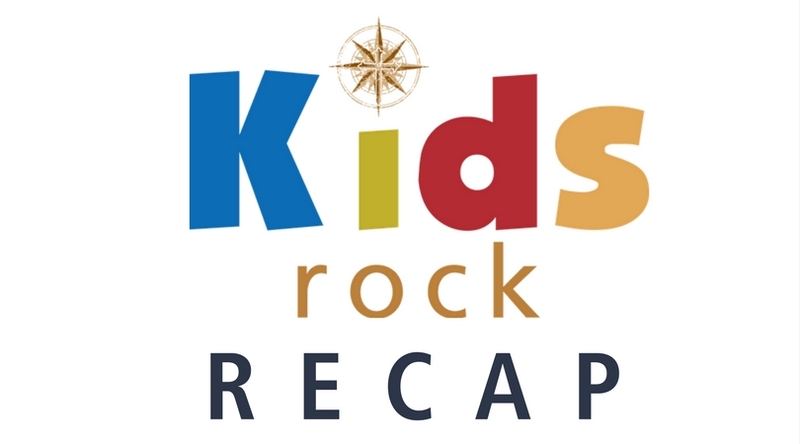 Thank you all for following our KIDS ROCK blog this past year. 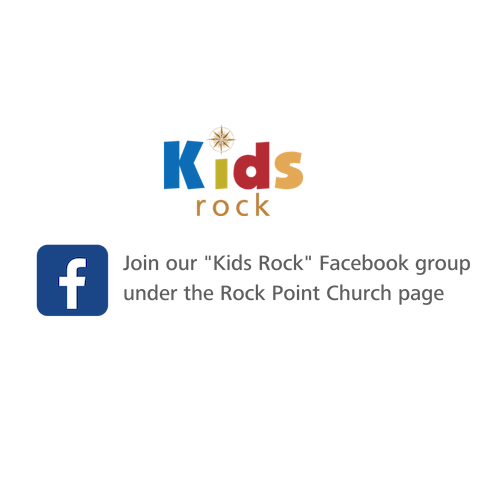 At this time, we have decided to discontinue the blog and shift our focus to the KIDS ROCK Facebook page. We will post upcoming events, our Sunday morning lesson topic for each week, as well as any pertinent information pertaining to KIDS ROCK. We hope you have enjoyed reading the posts and will continue to stay connected through the Facebook page. Ask to join the KIDS ROCK group by following this link. Looking forward to having you join the group! big picture question: does God keep His promises? God always keeps His promises because He is faithful. CHRIST CONNECTION: The promises for Abraham and Isaac also become the promises for Jacob. At Bethe, God showed that His plan was to continue the covenant through Jacob’s family and eventually a whole nation, leading to the birth of Jesus-the promised Savior. How does this story help me to live on mission better. big picture question: why can we trust God? We can trust God because He is faithful and does everything for His glory and our good. CHRIST CONNECTION: God’s covenant with Abraham continued to the next generation. Esau sold his birthright, giving Jacob the right to the wonderful blessings God promised to his father Abraham. Through Jacob’s family, God would send the promised Savior to bring blessing and salvation to the world. Growing up, I didn’t like the Bible. Seriously. I thought it was boring. I saw the Old Testament as nothing more than a long list of names I couldn’t pronounce and the New Testament was merely the same five or six stories over and over and over. I loved to read, but stories about concubines and animal sacrifice simply weren’t my taste. My engagement with scripture was surface level at best. I read enough to keep up in youth group, but I had no desire to study God’s word. I certainly didn’t care to apply it to my life. For seven years in a row, my New Year’s Resolution was to read through the entire Bible. And for seven years in a row, February rolled around and I found myself adding to the long list of excuses why I just couldn’t make it happen this year. I started reading the Bible once I got to Taylor, but not because I wanted to. The first weekend of college, my assignment was to read the Pentateuch. I had never even heard of such a thing (apparently, it’s the first five books of the Bible). I was thirteen hours into grumpily skimming over Leviticus when I realized that something in my engagement with scripture needed to change. I was interacting with the living and active word of the God who breathes galaxies and I couldn’t bring myself to enjoy it even a little. I ended up using SparkNotes for Numbers and Deuteronomy and suppressed any convictions I felt about running from the Word of God. However, I quickly learned that the more time I spent avoiding God’s word, the worse my life was getting. As I continually avoided spending time reading scripture, my heart continued to get farther from the Lord. I relentlessly pursued desires of the flesh and found myself seeking my entire satisfaction from the things of this world. Suddenly, God got a hold of my heart. I had been living in sin and relentlessly straying away from the path of purity. The reason? I was not living according to His word. My relationship with God was virtually nonexistent and I discovered that I felt so far from God because I was not putting any effort into hearing from him. Any relationship requires effort, and this is especially true of a relationship with God. God communicates with us through scripture, but if we are not willing to put in that time in the word, we cannot possibly know God on a personal level. Finally fed up with my indifference to reading the Bible, I approached a well-known ministry professor at Taylor. That was all I needed. Those words were enough to prove that the only way to really experience the fullness of Jesus is through actively engaging with scripture. As I walked back to my dorm, I begged God to transform my heart and change the way I interacted with His word. With the help of some close friends, I got involved with a process of meditative scripture engagement. I selected three main facets which ensure that we do so much more than simply read the Bible. Nothing has a bigger impact on spiritual growth than wholeheartedly reflecting on scripture, so it’s really important that we learn how to do that. 1. Journaling scripture. This usually means that you write out a passage and allow your own personal experience to take the place of possessive pronouns. Can it be that the verses a psalmist wrote over a thousand years ago is the same desperate plea for salvation that you need to be writing yourself? It also means you write your own thoughts in response to the verses read. It could be in the margins, like a simple, “Amen!” or an entire journal entry on the way you are struggling to understand God’s timing. Journaling scripture as you read it makes it personal. 2. Praying scripture. My favorite thing about scripture is that it transcends time. It is never irrelevant, so we can always find a situation to apply it to. By praying scripture as you read it, you are in constant communication with God as He writes to you and you pray back to Him. Take Ephesians 3:14-21, for example. Why can’t we pray this same prayer over our church, and our friends, and our families? Sure, it might have been Paul’s prayer for the Gentiles, but there is no reason we can’t echo those same words as we pray for spiritual strength in our own lives. Take verse 17, for example, and pray like this: “God, I pray that you may dwell in my family’s hearts through faith, so that we, the _____ family, may be grounded in love.” Paul wrote the prayer for us. We get the opportunity to echo His words to our Father. 3. Meditating on the words of scripture. This is a great way to keep scripture constantly running through your head, and it will make scripture memorization even easier (I could write a book on the importance of scripture memorization, but I only get one blog post so we’ll stay on track). It is important not to take words out of context, but focusing on one or two words at a time can be very beneficial for immediate application. It is crazy how easily these words get stuck in your head, and you’ll find yourself whispering them without even thinking about it. For example, I cling to Psalm 34:18, “the Lord is near to the brokenhearted and saves the crushed in spirit.” I meditate on the words “the Lord is near to the brokenhearted.” Now, whenever I experience hard times or heartbreak, these words are automatic. Scripture engagement is not easy, but it is absolutely vital if we want to have a flourishing relationship with Jesus. Pray that God will give you a desire to spend time actively engaging with His word. When I started praying for this desire, He started waking me up at 6am to spend time with him (maybe pray that he picks a little bit later time for you). I hope this helps with the way you engage with the God-breathed Bible! It is truly a treasure. Cali Saunders - I am a sophomore at Taylor University studying English Education. I love to read, travel, eat, play lacrosse, and be with people. CHRIST CONNECTION: This story shows us how God was working out His plan to keep the covenant He made with Abraham. God gave Isaac a wife to keep His covenant with Abraham to bless the whole world through Abraham’s family. One day, Jesus would be born into Abraham’s family as the promised Savior. CHRIST CONNECTION: Abraham showed His love for God by being willing to sacrifice His son Isaac. God provided a ram instead. This is how God showed His love for us: He sent His son, Jesus, to die on the cross so that we could have eternal life through Him. At our small group on Monday i felt burdened to ask, “What about the events in life, such as my parents’ divorce, when I didn’t reach out to God as I should, would he still work in that situation?” I hadn’t leaned on him for advice or strength, but instead leaned on my family and others in my life. Could he, would he still work all things for good? Today, I woke and started getting ready for work and decided to listen to an audio devotion from Wisdom Hunters. Below is the devotion. God is so good, he is sovereign, he loves me so, even when I don’t reach out to him. I am so very thankful for his forgiveness and his grace. I pray that the following devotion speaks to you as it did me and that you can find comfort in the supreme rule of our Savior Jesus Christ. There are times in all of our lives when we make unwise choices. Perhaps we were unfaithful to our mate, took a job we regret, chose a career path we haven’t enjoyed, or haven’t parented our kids God’s way. Looking at our mistakes or sins can be extremely painful, especially if we regret where our decisions have taken us. We may want to turn back the clock and choose differently. We may wrestle with regret and guilt, or even blame others to soothe our consciences. Taking ownership of the choices we have made takes courage, but it can be especially difficult if you believe that there’s nothing good that will come from your decisions or if you believe, “I made my bed, now I have to lie in it.” Meaning, “I ruined that relationship; my relational life will never be blessed again.” Or, “I chose that horrible career path, nothing good can come from it.” It’s normal to feel our sins or mistakes define us. But God has something different to say about the choices you have made. God can bring good out of anything. This is the power of God’s redemption and grace, and trusting in both will give you the courage you need to face your choices, even when they have been wrong. “For day and night your hand was heavy on me; my strength was sapped as in the heat of summer. Then I acknowledged my sin to you and did not cover up my iniquity. I said, ‘I will confess my transgressions to the Lord.’ And you forgave the guilt of my sin” (Psalm 32:4-5). When we accept responsibility for our choices and sins, not only can we receive God’s grace, but we can also learn from what happened. But if we refuse to face our faults and sins, we won’t learn, growth won’t happen and we won’t fully know the power of God’s redemption in our lives. Because God is always at work to bless and redeem, you can admit your mistakes and sins. Lord, thank you that you are bringing good out of all the choices I have made. Help me to honestly face and confess my sins so that you can help me grow and I can experience the full power of your grace. Amen. Do you think it would be hard to obey God if He called you to do something you didn’t completely understand? Why or why not? How do our actions affect our relationship with God? Can our sin cause God to stop loving us? I love books! I get excited over the scent and feel of a new book in my hands. Weird, I know! As a teacher I tried to instill that love of books in my students and now do the same in my grandchildren. I came across a series of picture books that I am very impressed with. Each of the books tells the true story of an event in the bible but in a way that will engage younger kids. Currently there are six books in this series, “Tales that Tell the Truth.” One of the later books published in the series is “The Friend Who Forgives” by Dan DeWitt and Catalina Echeverri. This book tells the story of how Peter failed and Jesus forgave him. The illustrations are bright and inviting as well as the text. The author draws in the reader by asking questions to invoke response throughout the story. Check them out if you are looking for good books to share God’s truths with your kids! big picture question: who is God? One day, Jesus will put an end to suffering on earth and those who trust in Jesus will be with Him forever. What did Job learn about God and about himself? How is God near to us in our suffering? How have friends encouraged you in a hard time? How can you encourage others? I’ve always thought going to church was just to learn about Jesus and grow in that relationship. However there is a huge aspect I was missing, that was also to serve. Jesus. Getting involved, and serving in your church is important even if you are young. As 1 Timothy 4:12 says, “Do not let others look down on you because you are young, but that we should set an example for the believers in speech, in conduct, in love, and in purity.” As a teen, I believe it is important for us to serve because it is an action to show we are serving the Lord, and a way for us to set an example for those who are younger than us. Serving has also given me a new perspective to see the different ways kids view Jesus, and the stories they learn. If there isn’t KIDS ROCK, the parents aren’t able to go to church. When I think I don’t “feel” like serving I not only think about pleasing the Lord (2 Cor. 5:9) but I also think about serving the parents so they can grow, and lead their families. It’s a big church so there are obviously lots of kids. Our church serves about two hundred kids a week. Which is practically the size of a small church. It is great to know that I am serving a need of the church, and I try and focus on letting God use me to speak into these children’s hearts as he has used so many people to do in my life. 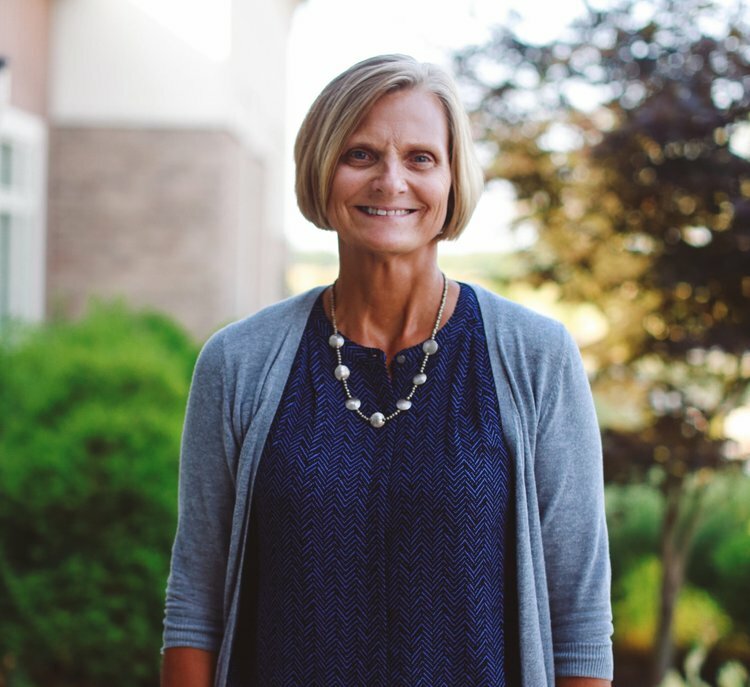 Working with Patty and Page has showed me how much time they put into building a foundation in the kids, and how intentional they are with their lessons. Alli Wagner - I am a senior at Crawfordsville High School and this year I’ve had the privilege to job shadow in the Kids Rock area at Rock Point Church. I’ve been going to Rock Point my entire life. I love tennis, reading, and hanging out with friends. CHRIST CONNECTION: People chose to give glory to themselves instead of God. They ignored God’s plan, so God confused their language and scattered the people all over the earth. One day, Jesus will gather together all of God’s people-people from every tribe and people who speak all kinds of languages-and they will worship Him together. Why is it that talking about Jesus can be so awkward? Personally, I think I have a fear of saying something wrong or of rejection. Even with my own kids, it can seem inorganic. I have a 3-month-old and a 2-year-old, so we are just sticking with the basics here! Somedays I don’t even know how to talk to my 2-year-old son about Jesus! It’s difficult to know where to begin. I was recently introduced to a resource from Lifeway that gave me basic truths that were appropriate to my son’s age. My son doesn’t have the ability to understand concepts like holiness and eternity and the Holy Spirit, but he is able to understand that God loves him and God made him. Click the link to find age-appropriate Biblical Concepts to teach your littles! Sometimes we tend to over complicate trying to bring Jesus into our homes (or at least I do). For younger kids, your spiritual time can be as simple as reading a Bible story and singing “Jesus Loves Me” every night before bed. This instills the habit of daily bible reading and teaches the basic foundational truth that Jesus loves them! For older kids, there are many great devotional books to go through, or read through the New Testament devotional with the church and discuss it as a family. Or it can be as simple as spending 5 minutes around the dinner table memorizing the Unit Bible verse. Find some way to bring the name of Jesus into your home. The more you do, the less awkward it will feel! CHRIST CONNECTION: God rescued Noah and his family from the flood. People continued to sin, but God did not want to destroy people; He wanted to rescue them! The story of Noah points ahead to a greater rescue. God’s Son, Jesus-the only perfectly righteous One-came to take the punishment for out sin. By trusting in HIm, we are saved from the punishment our sin deserves. Who did God choose to save? What did God do to remind Noah of His promise to never flood the Earth again? Why is it good for God to punish sin? About 30 years ago I started a MOPS group for a few stay-at-home moms in Russellville, IN. We met a few times and then we moved to Darlington and I wasn’t involved with MOPS again until today. Today my role in MOPS was quite different then 3 decades ago. Today my role was as a Mentor Mom, what a wonderful, humbling honor to sit in the company of so many young moms. I had been given my marching orders and understood my role as a Mentor Mom, in fact had looked very forward to this time in my life. I was not, however, prepared for the flood of emotions that would surface as I listened to these young moms talk about their successes, challenges, and sweet babes. I recalled memories that I hadn’t thought of for years; sweet, sweet memories of my three boys. To the moms at my table, and the surrounding tables, you are a blessing to your children. You will make mistakes, but you have a heavenly Father that takes those mistakes and makes strong kids. You will have great successes that will develop children that are great warriors for Christ. Keep doing what you are doing…following your Savior, loving your husband, and guiding your kids. YOU ARE DOING A GREAT JOB! YOU ARE A BLESSING. KEEP UP THE GOOD WORK. And, thank you for allowing me to be a part of your day and reliving some very precious memories. You were a blessing to me. God is our Creator and King. CHRIST CONNECTION: Here is the good news! Ever since Adam and Eve sinned, all people have been sinners. Our sin separated us from God, but God still loves us. God promised a Rescuer would come from Eve’s family. God sent His Son, Jesus, to rescue people from sin and bring them back to God. 1. What is sin? Who sins? 2. Why does God hate sin? 3. What did God do to save sinners? At the turn of Labor Day weekend we will launch the Fall semester of our student ministry here at Rock Point. Bible lessons, crazy games, weekend retreats, and laughter will soon fill our church on Sunday afternoons at 2:30pm. Whether in elementary, middle, or high school, I want to encourage you to take steps now to prepare your kids for youth group. From my experience as a student, and now in my time serving in youth ministry, I have found that the transition from children’s Sunday school to middle and high school youth group can be a hard one. One of the biggest difficulties I have noticed our middle schoolers facing is that they often have a hard time paying attention to the weekly Bible teacher. Lessons are longer in middle and high school than they were in Kids Rock, which can cause some of our younger students to feel overwhelmed by the prospect of sitting through a lesson for an extra ten or fifteen minutes. Parents reading the Bible with their kids. This is not a breakthrough strategy, but I want to reiterate this timeless truth. You don’t have to be a scholar to read the Bible with your kids. My dad had only recently come to faith in Jesus before he began reading the Bible with me and my sister. But because of this practice, I became more comfortable listening to the Bible. I learned to remain engaged with the Word for longer spans of time as he lengthened the size of the passages he read. The longer he read, the longer my sister and I had to focus on the reading. As you continue to train your kids to love God and His Word, consider reading the Bible with them. This is a great way to prepare them for a lifetime of listening to God’s Word, whether in youth group or in the years ahead! CHRIST CONNECTION: God created people in His own image and provides for everything He made. God gave Adam and Eve a garden to live in and food to eat. People are special because God made people to live forever in a relationship with Him. Through His Son, Jesus, we can have eternal life with God just as He planned. 1. How are people different from the rest of creation? 2. How did God create Adam? 3. How did God create Eve? 4. What does it mean to be created in God’s image? CHRIST CONNECTION: The Bible says in John 1 that the Word was with God in the beginning, and the Word was God. All things were created through Him. “The Word” is God the Son. When God spoke things into existence, the Son was there. Jesus is Lord over all creation. He is God the Son, and God the Son has always existed. The Bible says everything was created by Him and for Him, and He holds everything together. 1. Describe what part of the creation story is surprising to you. 2. Why did God create everything? 3. Talk about a time you saw goodness in creation. How did you react or respond?